The Jamiatul Ulama South Africa Calendar for 2019 is now available from the ulama body’s offices or selected outlets. 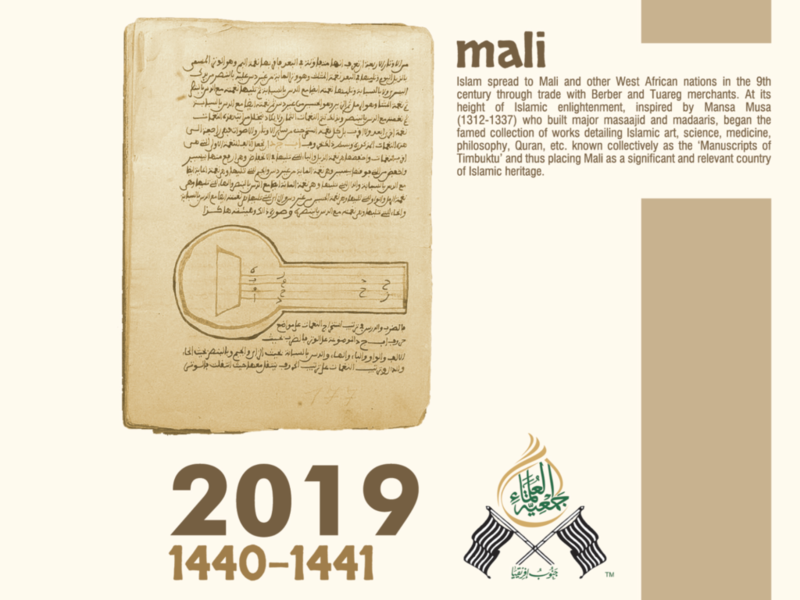 The theme of this edition of the calendar is Mali, a historic Muslim country on the African continent. The calendar contains both Hijri and Gregorian dates, new moon-sighting information, prayer times as well as monthly messages of inspiration. The price is R40.00 a copy.